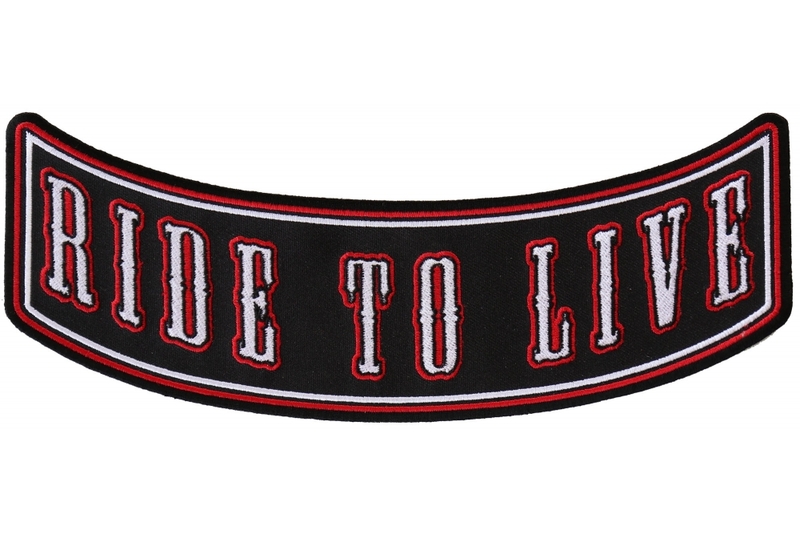 This beautiful patch is the perfect accompaniment to the ‘Live To Ride Rocker’ patch. The downward arch of this brand new, never before sewn patch makes it perfect for ironing or sewing onto the bottom of your jacket or vest. With the perfect embroidery in fabulous white and red lettering it is sure to make your clothing look superb. Choose the ‘Ride To Live Rocker’ patch if you want everyone to know that you love riding your motorcycle. The 10 x 4 inch patch will ensure that you are driving around in style every time you sit on your motorbike and drive the open roads.